As we enter the second month of 2015, we enter that time of year again where we continue to observe various planetary movements in the heavens. The planet Mercury started moving retrograde on 21st January 2015 and will end 11th February 2015 in the sign of Aquarius. When Mercury is retrograde, best plans can go awry. Unless your plans are no plans and in that case, these plan to have no plans would work perfectly. Mercury, the planet of communication also known as the trickster, is granted permission three times a year to play his mischief on creation. Since Mercury is retrograding in Aquarius, the fixed air sign, it will affect our connections to friends, grants, governments, permits, computers and technology. It might bring a friend from the past, or help you reconnect to a group or a club you tried before and did not succeed. When he retrogrades in Aquarius, the misunderstandings will be swift but also their negative outcomes will not last long. This retrograde will affect Aquarius, Taurus, Scorpio and Leo more than other signs. It can actually benefit Libra and Gemini and to a lesser degree Aries and Sagittarius. One of the most crucial elements in astrology is the ability to be able to understand cycles, phases and seasons, as a matter of fact your whole life is based on this principle. We go through different phases and cycles throughout our life, there are times when we enter new cycles and begin new phases and equally there are times when we fully complete and then go on to end cycles and phases. 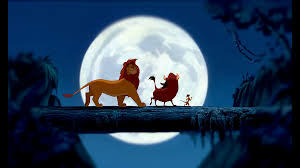 In the movie The Lion King, it is what it is referred to as the “cycle of life”. This same principle is found on a daily, monthly and yearly basis, hence you will find yourself going through various phases throughout these periods. On 3rd February 2015 there will be a Full Moon in the sign of Leo. This is pointing towards a flowering phase, a time when things come to fruition in your life. I should point out that the Full Moon in Leo is a very special one. 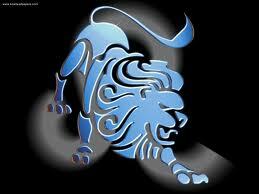 Leo is the Zodiac sign of the lion and the lion is very majestic and kingly. It is known as the King of the Jungle and is said to be the most viewed animal in any zoo or Safari. The lion always takes the spotlight. It is the centre of attention, just as Simba was in the movie. It is also important to point out that Leo is the only star sign to be ruled by the Sun, and that the Sun is the centre of our solar system, and even the Sun is kingly as all the planets revolve and orbit around it. So everything about this star sign is special, royal and kingly. This should be of no surprise as Leo is a fire sign, and fire as we know it, is something that burns bright and illuminates wherever it may be, even though we are not really experiencing much sun in the northern hemispheres. Leo is the cosmic archetype that allows us to develop a very strong ego and self-confidence, along with self-expression and admiration and personal integrity. 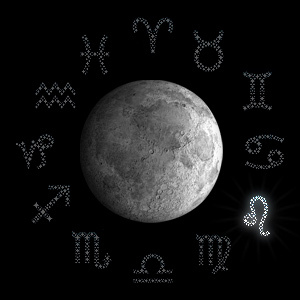 Whereas two weeks ago we had a New Moon in the sign of Aquarius, where it was about connecting and networking with friends, groups and the wider collective terrain, this Full Moon in Leo is much more about you and the building of your individual self. The sign of Leo allows you to become an energy source. It allows you to create a particular place inside of you that is of great strength that not only provides something for your own accomplishments, but also for others to share and enjoy. The landscape of Leo is often a very glorious and dramatic stage where you can fully express yourself and eliminate any potential dark or dull areas in your life. With this Full Moon in Leo, it is a great time to express your feelings in a very dramatic and intense way. It is a time to be proud and very aware of self-image. As Leo loves to be the centre of attention, you will find this principle also resonating with you. 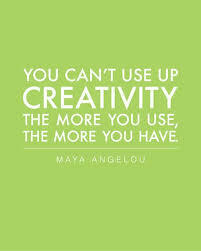 It is a great time to take centre stage and become theatrical and playful. 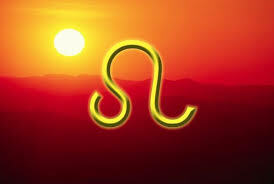 It is a great time to reap the harvest of the new creative projects and enterprises which were planted 6 months prior with the New Moon in Leo, especially if it involves music, theatre, play and any other endeavours that seek and need the limelight. You will find that whatever you do during this phase of the Full Moon in Leo will be done in a much more dramatic way, with more flair and confidence. This will be a time when public activities and amusements suddenly become the focus of your life. You may find yourself doing things that you have never done before and you may surprise your friends with your new desire to be in the spotlight and take centre stage. One of the ways that you go about seeking that attention may be through your clothing and fashion decisions. You may find yourself wearing beautiful and bright colours and in psychology, it has been proven that when people wear beautiful and bright colours they tend to be more confident in their approach to life and Leo is that sign of confidence for sure. It is also a great time to get in touch with your inner child. This may be done through amusement places, cinema, parks, sports and many other outdoor activities, even though its mid-winter time, it may even be wise to involve the children if there are any. It is a great time to start something new in your life that will bring pleasure and enjoyment, as Leo is the sign of fun and play. Be mindful to manifest creative things that have already been planted in your life and find ways of having fun and creating new adventures. 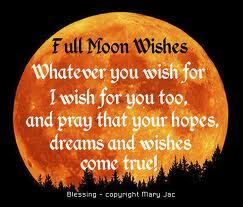 With this Full Moon in Leo it is a great time to find where and what makes you feel special. Leo is the Zodiac sign that allows you to procreate and give birth to something very creative and powerful, so be sure to tap into the majestic, confidence and proud Leo archetype and you will be sure to experience one of the most happy and pleasant times of the year. Have a playful and creative Full Moon in Leo! To find out more, tune in to the Cosmic Blueprints radio show at http://www.oneharmonyradio.com every Saturday from 9am to 12pm GMT and come back in 2 weeks to read other cosmic news! We look forward to seeing you.